Make brownies according to package directions. Cool completely, about 1 hour. Break cooled brownies into bite-size pieces, placing half of pieces in 2-quart straight-sided serving bowl. 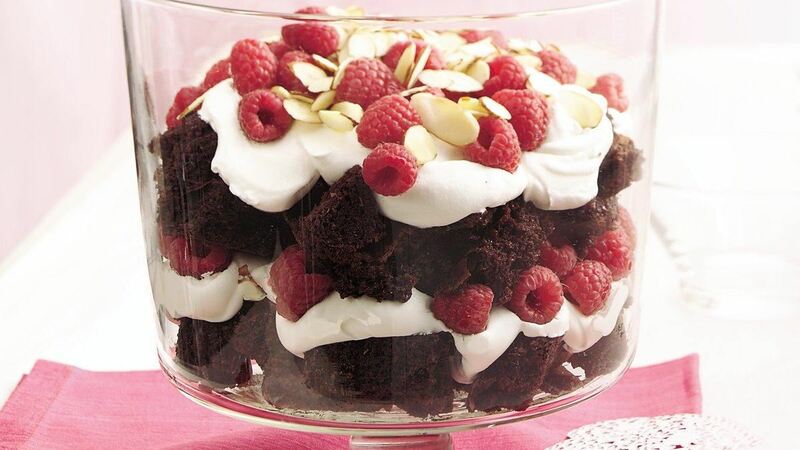 Top with half of the whipped topping and half of the raspberries; repeat layers. Sprinkle almonds over top. Tip: You could substitute sliced fresh strawberries for the raspberries if you like.